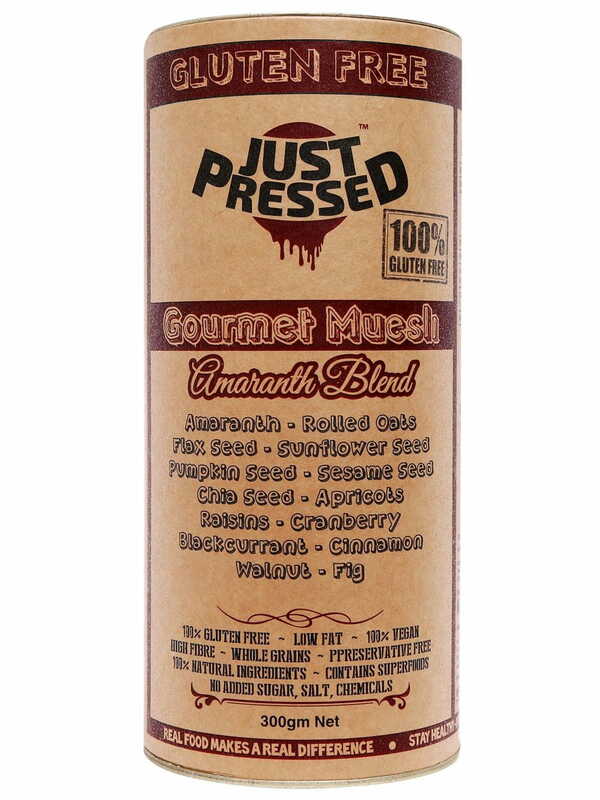 In a day and age where getting anything in its natural state is a challenge, we present before you JustPressed™ Amaranth Blend Gluten Free Muesli which has absolutely no preservatives, sugar salt or any other chemical. It is wholesome and unprocessed and the best thing is that it is very tasty! Yes! Finally something which is so tasty that you will begin to feel guilty thinking that it won’t be healthy. But this product is as healthy as it is tasty! The ingredients include of amaranth, rolled oats, five essential seeds, raisins, apricots, figs, cranberries, walnuts, blackcurrant and cinnamon. All of them are powerhouses of nutrition and vital minerals along with delicious light crunchy texture and the magical taste of 100% natural ingredients. This amazing product can be bought online from FoodFeasta.com and will be delivered directly to your doorstep. Sounds too good to be true? Order now and enjoy in a healthy way!